Scott Hedrick is in need of a kidney transplant and needs your help to make it happen. Seven years ago at the age of 40 years old, Scott was diagnosed with End Stage Renal Disease (ESRD) and was told that he needed a kidney transplant. 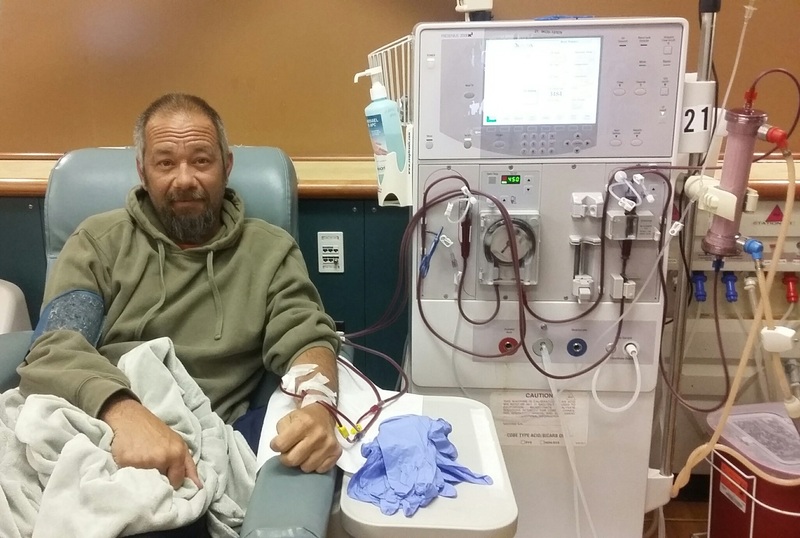 Since he started dialysis, Scott has not been able to work or truly enjoy life due to the amount of time spent at dialysis and the stress this procedure takes on the body. Scott is completely dependent on dialysis that he undergoes three days a week to keep him alive. His only chance to return to good health is a kidney transplant. Scott has always been a hard worker and very outgoing and wants to get a transplant so that he can return to work and enjoy time with family away from the “Machine”. He needs your help to make it happen. Transplants are life saving but very expensive. Funding this life saving procedure is a monumental task, as there will be many medical expenses not covered by insurance including co-pays, travel, caregiver expenses and the costly anti-rejection medications that Scott will have to take for the rest of his life. Scott has been told by the transplant team at Indiana University that he needs to raise at least $10,000 to cover these out-of-pocket costs before he can get the kidney transplant. To help with the financial burden of Scott’s uninsured expenses, a fundraising campaign in his honor has been established with Help Hope Live, a trusted nonprofit organization that has been providing community-based fundraising guidance to patients and their families for more than 30 years. All donations are tax-deductible to the full extent allowed by law, are held by Help Hope Live in the Great Lakes Kidney Transplant Fund, and are administered by Help Hope Live for transplant-related expenses only. Please consider making a contribution. Thank you in advance for your consideration. Every donation means a lot and we ask that you share this letter to help Scott reach his goal. My original fundraising goal was $10,000 dollars and I am very fortunate to know some very outstanding people who helped me obtain that goal to allow me to get the transplant done. However, since the transplant it has been a very challenging and expensive road. After the transplant, I have been going through a rejection and have spent 85 percent of our days at the IU Hospital doing biopsies and steroid injections to try to keep things in line. So far so good, but I am struggling with the additional expense caused by the rejection and the cost of the post-transplant medications which are necessary to keep my kidney healthy. These medications are going to be a life long deal for me, so I am updating my campaign and raising my goal to $20,000. I am so thankful for everyone’s support and hope that you would consider making an additional contribution to help me handle the out-of-pocket medical expense until I can return to work and obtain some good health insurance. Very overwhelmed by everyone that has helped me get this far in my campaign. I feel very blessed to have known all of you to help me get this far. Most of you that know me real good know that I have never been a soft spoken thank you kinda guy but y’all got me there. I get another chance at life thanks to yall. All i can say is i hope y’all go take advantage of your life right now. Don’t wait til tomorrow. Go have fun. Don’t wait on the curve ball. Enjoy your life and loved ones. I hope our paths cross soon and I can repay the favor.